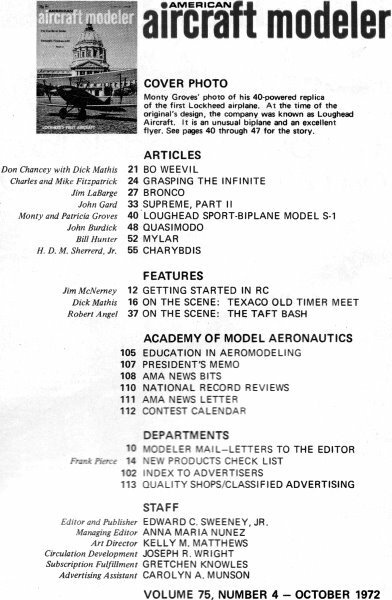 If I'm not mistaken, this is the very first edition of American Aircraft modeler that I ever received, after joining the Academy of Model Aeronautics. My AMA number is 92498. 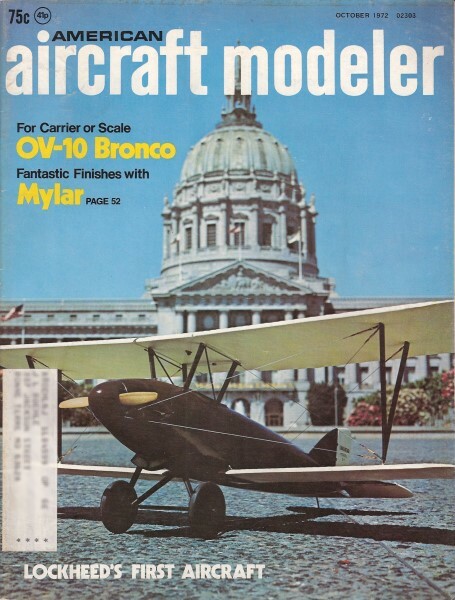 Cover Photo: Monty Groves' photo of his 40-powered replica of the first Lockheed airplane. At the time of the original's design, the company was known as Loughead Aircraft. It is an unusual biplane and an excellent flyer. See pages 40 through 47 for the story.